Every Texan has their ultimate steak grilling method. Ask anyone that you know how to cook the perfect steak, and you will find at least a few common myths mixed in with their own particular style of how to cook the perfect piece of Texas beef. 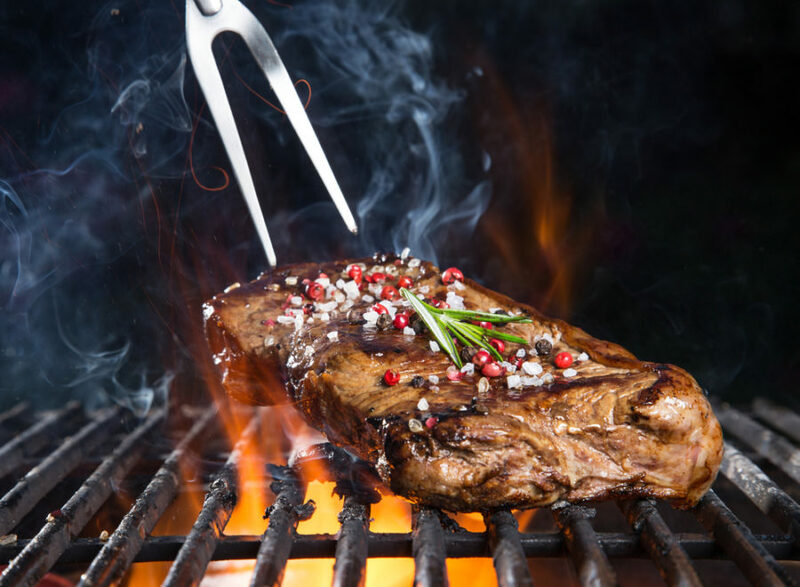 Although creativity in cooking is a bit of a requirement, as a prominent Dallas steakhouse, we believe that some of these steak myths are purely for the flare of the art of cooking. Here are our top three myths that need to be put down for the sake of a well-cooked steak. The poke test is a method that you will see most every novice steak cook using as they grill a steak at a family cookout. Once the steak looks like it is about where it needs to be, you will find the chef poking the steak with a fork and then tapping the insides of their palms to compare and contrast the ‘well doneness’ of the meat on the grill. This myth needs to be busted, and fast. All hands are not the same. One person’s soft spot of the palm may be different than another person’s. Testing your palm has little merit over how ready the steak is for eating. Also, the thickness and thinness of the steak needs to be determined. Some steaks just need more time to get to perfection, and at a Dallas steakhouse, this perfection is key. The bottom line is that there is only one way to determine the temperature of a steak. It is not with your thumb, but with a cooking thermometer. You will find this myth with virtually any type of meat, not just a steak. Hamburgers, lamb chops, and chicken all suffer from the myth of never being flipped more than once. The reality of this myth is that multiple flipping will cook your steak 30 percent faster. It also improves the evenness of your steak’s cooking. Remember that frequent flipping at a fast pace is gentler cooking for your steak. Although any Dallas steakhouse chef would disagree with this myth being used in their kitchen, many new cooks, and professional ones at, that believe that cooking your steak at room temperature is the best way to get the job done. A cold steak creates an ideal cooking relationship between the steak and the hot grill. This allows the steak to char nicely on the outside while not compromising the rarity of the inside, A room temperature steak is going to cook faster and if charred, will be extremely tough when bitten into. If you are looking for the perfect steak at a steakhouse, come visit us at Y.O. Ranch Steakhouse in downtown Dallas. We have a team of top chefs who know how to prepare a steak the way that you want it. Call us today to make a reservation or find out more about our menu. We look forward to having you as our guest.